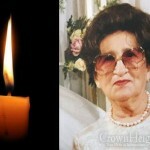 The Kallah was from far-off Chicago, the Chosson a student at Yeshivas Hadar Hatorah for Ba’alei Teshuvah. Most expected theirs to be a small wedding, with only a few family members and friends in attendance. 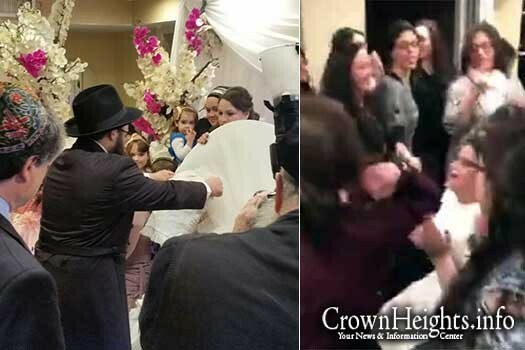 Instead, the wedding hall was packed to capacity, and attendees said it was one of the most joyous weddings to take place in Crown Heights in years. 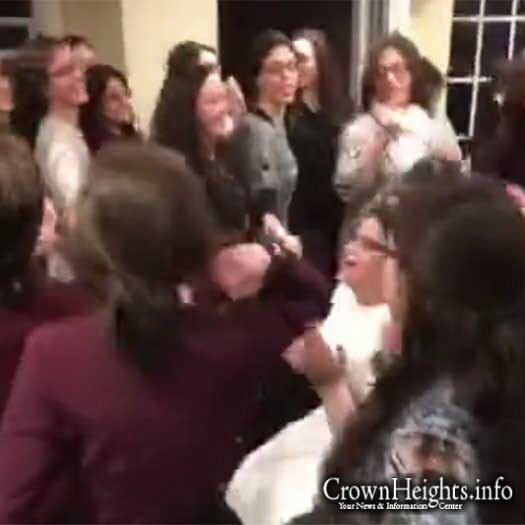 It all began at around 7:45am Wednesday morning with a post to the Facebook group ‘Crown Heights Craigslist’ by the Kallah, Mushka Sarah Cohen, inviting all members of the community to her wedding with Ariel Costanza, which she said would not have a lot of people in attendance. 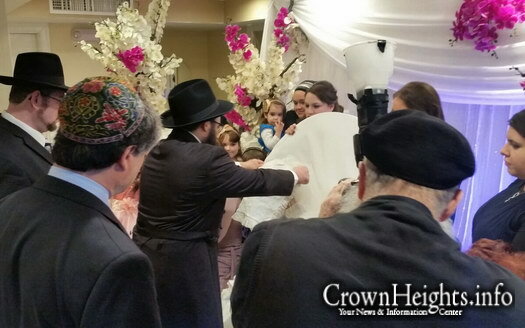 Nearly 100 people responded to the post, wishing the young couple Mazal Tov, but that was only the beginning. 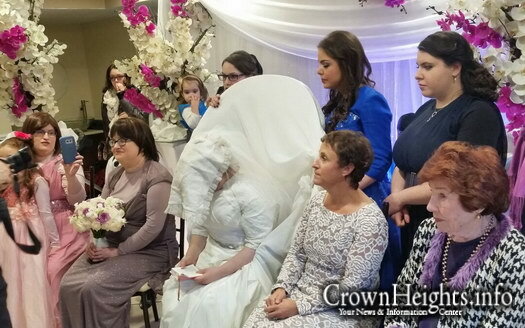 That evening, members of the Crown Heights community flocked to the wedding hall to bring joy to the Chosson and Kallah. The hall was filled to capacity, and the joyous atmosphere was overwhelming. This wasn’t the kallahs first post in that group. Getting married Iyh Wednesday . I had noticed a post of hers earlier in the week which really touched me. Never so such a post in a public forum before. No wonder that a caring kallah like that had such a turnout. We really wanted to be there but were unable to attend. I’m so glad to read this write up and that there was a good turn out for them. It couldnt have happened to a more deserving Kallah and couple. TY Hashem! Kudos to the New York Chabad community for hosting our daughter Bluma and her Chosson Ariel’s wedding. Thanks to all who were involved in all the planning. 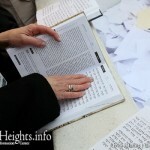 Why does it have to say the chosson is a baal teshuva? Why shouldn’t the article mention something praiseworthy? Best Wedding I was ever at!! 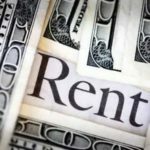 מזל טוב, מזל טוב-ויהי רצון שיבנו בית בישראל, בנין עדי עד, על יסודי התורה והמצוה, כפי שהם מוארים במאור שבתורה, תורת החסידות ומתוך אושר אמיתי בגשמיות וברוחניות גם יחד. Totally agree that I am thrilled it said BT, and as such I was able to enjoy this post 5 times as much.